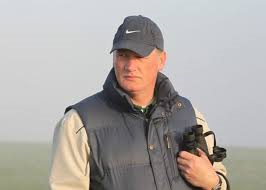 Kildare horse racing trainer and former county footballer Willie McCreery has been nominated for The Outstanding Achievement award at the upcoming 11th annual Horse Racing Ireland awards night. McCreery, who trains at his Rathbride Stables on the edge of The Curragh, is one of six trainers and two jockeys hoping to claim the prestigious prize on Monday, December 9th at Leopardstown Racecourse. The trainers include Charles Byrnes, Dot Love, Eddie Lynam, Willie McCreery, Joanna Morgan and Mick Winters, while the Jockeys in the running are Chris Hayes and Barry Cash. 2013 has seen McCreery enjoy his best season to date with over 25 winners but it was his handling of French import Fiesolana that earns him this nomination. Having landed a premier handicap at the Curragh on Guineas weekend in late May, the mare subsequently took the Ballycorus Stakes at Leopardstown, the Brownstown Stakes at Fairyhouse and the Fairy Bridge Stakes at Tipperary before rounding off her career with an impressive success in the Challenge Stakes at Newmarket on Future Champions Day. 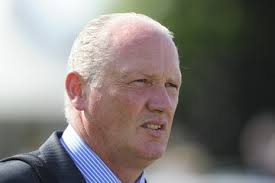 McCreery also struck at listed level with Hurryupharriet in the Shadwell Stud Rosebery Stakes at Ayr in September. McCreery’s most recent winner came at Dundalk last Friday 22nd November as Kavaco ridden by Pat Smullen won his 1m maiden on the flat while on Sunday he showed his training flexibility when he saddled Kick On Boss to second place at 16/1 in a maiden hurdle at Navan with Barry Geraghty on board. Though McCreery is a racing name and Willie has been surrounded by horses from the day he was born, it hasn’t been all he has done though. Mention him in any venue other than a racecourse, and the likelihood is that his prowess as a Gaelic footballer is what will be recalled. McCreery might be better known to most as the tireless midfielder, who starred alongside Niall Buckley as Kildare won their first Leinster title in 42 years in 1998. Managed by Mick O’Dwyer, the Lilywhites got to the All-Ireland final, but failed narrowly to bridge a 70-year gap since the last time the county had laid claim to the Sam Maguire Cup. A tough operator, McCreery collected another provincial medal two years later before injury forced his retirement. He was a selector when Kildare reached the Leinster final again in 2003 but the pressures of work forced him to sever those links. As much as he enjoyed football, and though he is loved by followers of the Lillywhites, racing is in his blood. Willie grew up and has spent his life surrounded by great horses and great racing people. His father won back to back Queen Mother Champion Chases with Hilly Way. His uncle trained Captain Christy to win the Cheltenham Gold Cup and two King Georges. His cousin trained Kicking King to win the Cheltenham Gold Cup and his brother Peter Jnr trained Son of War to Irish Grand National success in 1983. The lineage spreads further than that though. Willie had an uncle who as a Jockey won four Gold Cups, two Aintree Grand Nationals and four Irish Grand Nationals. Best remembered as the mighty Arkle’s pilot, the legendary Pat Taaffe also trained the winner of the 1974 Gold Cup, Captain Christy. This feat was subsequently repeated 28 years later by Pat’s son and Willie’s first cousin, Tom Taaffe, when Kicking King powered up the infamous Cheltenham hill. So it’s fair to say that he was bred for this game. Before becoming a public trainer in 2010, McCreery spent six years as assistant to Charles O’Brien before taking on the pre-training responsibilities at Kildangan Stud. From there, he was appointed Manager of Huma Park Stud before becoming Iona Park Stud’s trainer in 2008. He saddled 17 winners in his two years in that role. His desire to become a public trainer in his own yard saw him do just that in 2010, setting up his yard at Rathbride, on the edge of The Curragh. The Stable Yard consists of 45 boxes, a horse walker, two furlong covered woodchip gallop and 40 acres of turnout paddocks. The yard provides access to The Curragh’s training grounds: over 2,000 acres of grass with numerous woodchip, sand and synthetic exercise gallops available to the horses in Willie’s care. Willie McCreery has clearly been able to put into practice the knowledge he has picked up from his years surrounded by some of racing’s greatest figures, as well as from his own time in the game and this nomination is just another stepping stone in a career that is sure to remain a success for a while yet. Described in Kildare as one of the fittest, most dedicated footballers ever, McCreery was always destined to succeed in both disciplines. An All-Ireland and an All Star may have slipped through the net but one thing is for sure the awards in racing look odds to roll in over the coming years. You can now vote for Willie McCreery as this year, for the first time, members of the public will have an opportunity to vote on this category, ‘The Outstanding Achievement’ award, through a new HRI Awards app.